And behold, the word of the LORD came to him: “This man shall not be your heir; your very own son shall be your heir.” And he brought him outside and said, “Look toward heaven, and number the stars, if you are able to number them.” Then he said to him, “So shall your offspring be.” And he believed the LORD, and he counted it to him as righteousness. This has always been the case and here in Genesis we see it clearly stated. Abraham believed the word of the Lord and this was what gave him righteousness. It is still true today. In order for men to believe the Word must be preached. Do not hold back the truth of Scripture for it is life, righteousness, and joy for all those who believe. Take time to thank the Lord for the faith he brought forth by his Word in your own heart and then shout it from the mountaintop. "For I am not ashamed of the gospel, for it is the power of God for salvation to everyone who believes, to the Jew first and also to the Greek. For in it the righteousness of God is revealed from faith for faith, as it is written, 'The righteous shall live by faith.'" 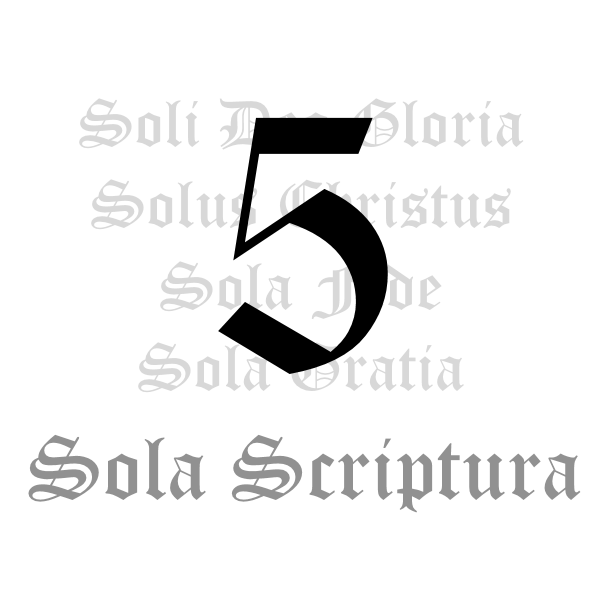 What Is The Meaning of Solum Evangelium? THE GOSPEL ALONE · Beholding & Becoming (2 Cor. 3:18): As We Behold Him, We Become Like Him!